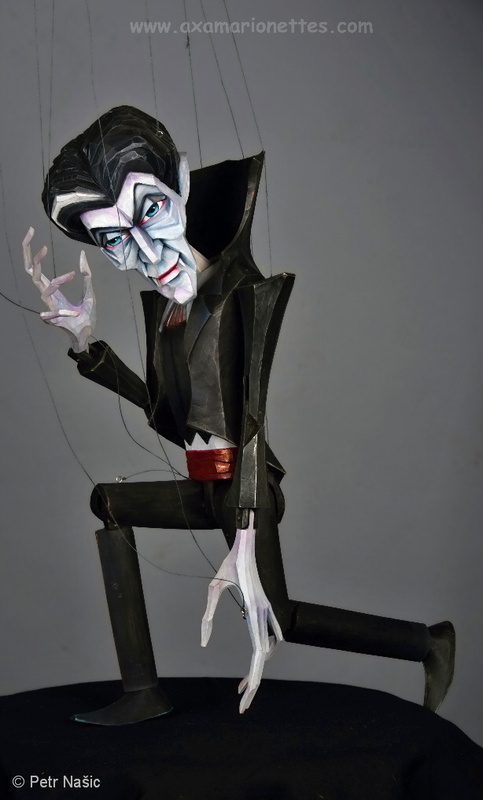 Demonic Vampire is a unique masterpiece. 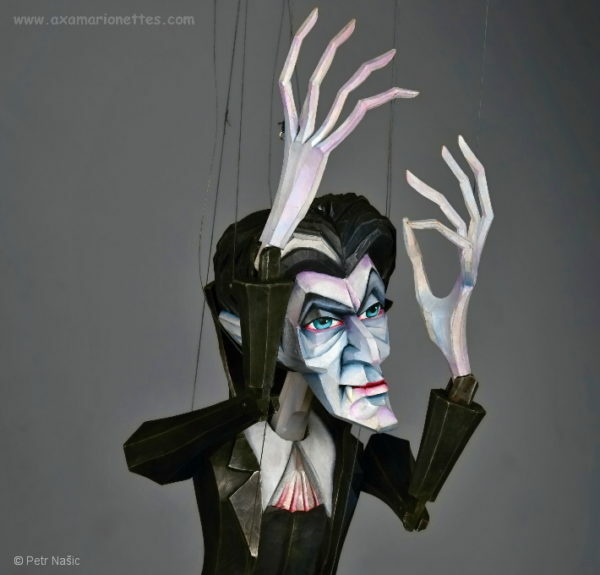 Look at all details in his face, His hands are especially unbelievably sophisticated. 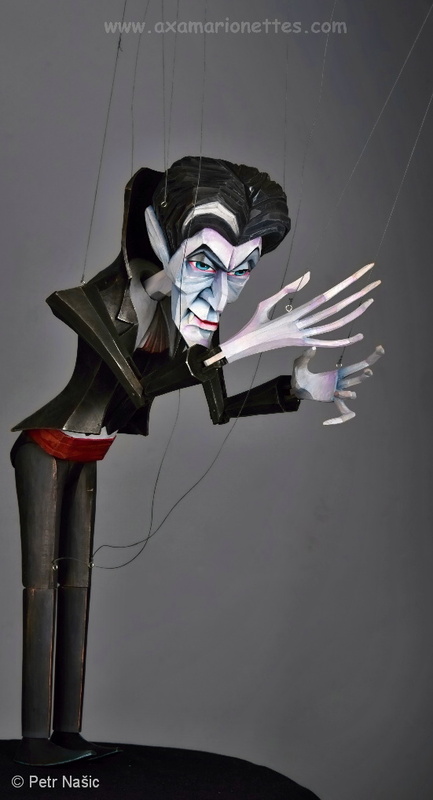 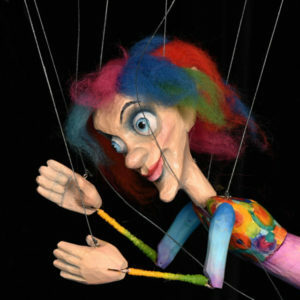 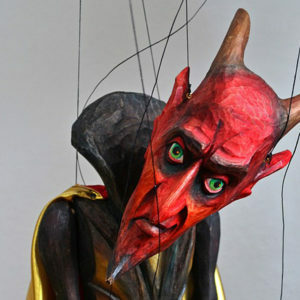 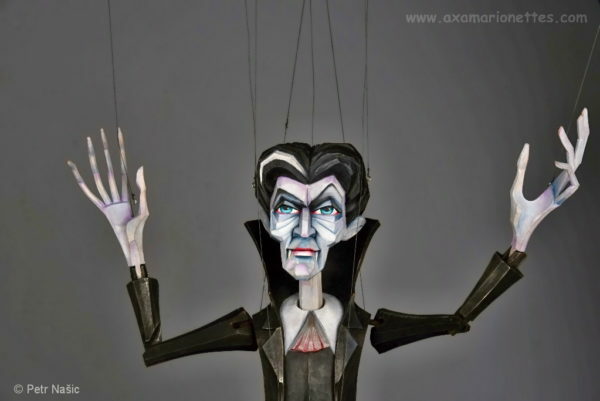 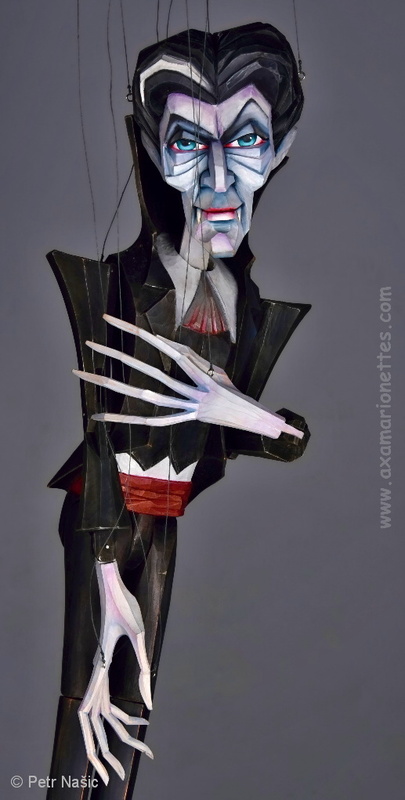 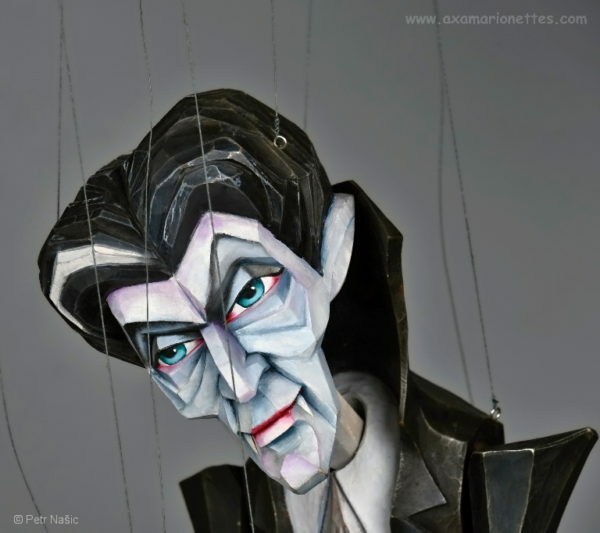 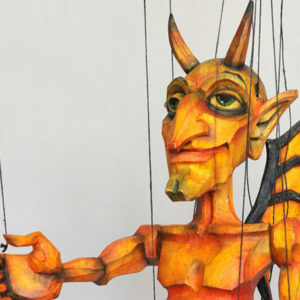 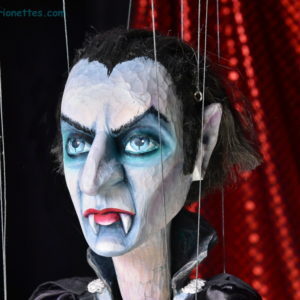 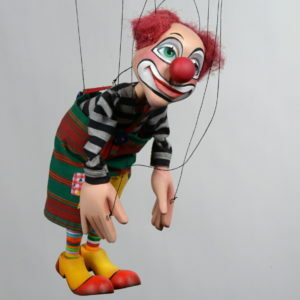 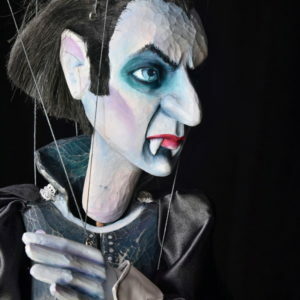 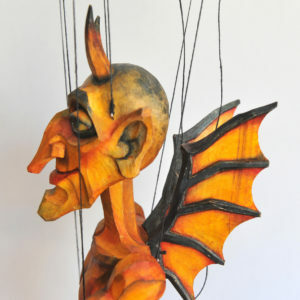 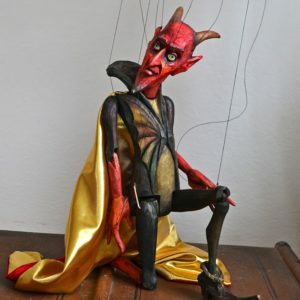 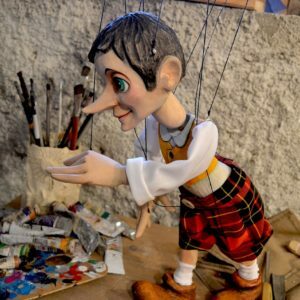 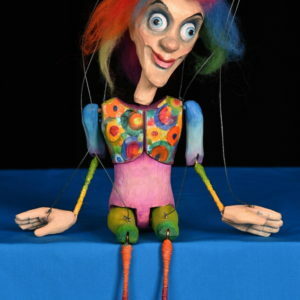 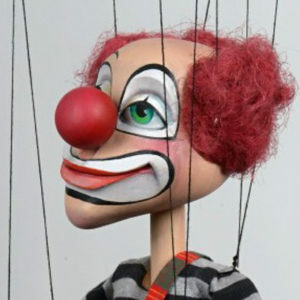 Each puppet is a unique original, carved by Tonda – one of the best carvers in Czechia, hand-painted by Xenie, so there will be slight deviations from the puppet picture shown on the page. 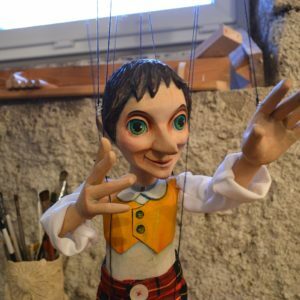 Do you want to make your own family puppet theater?